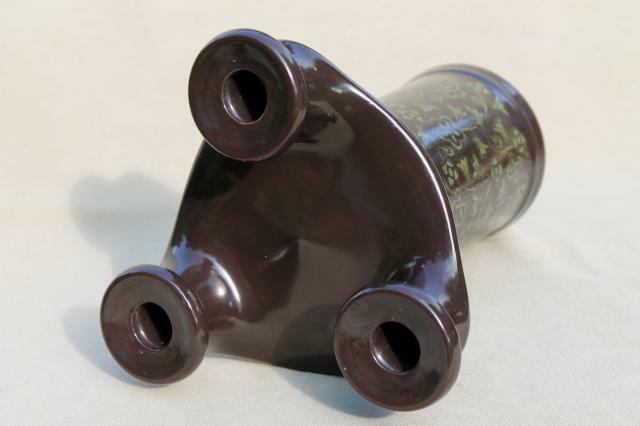 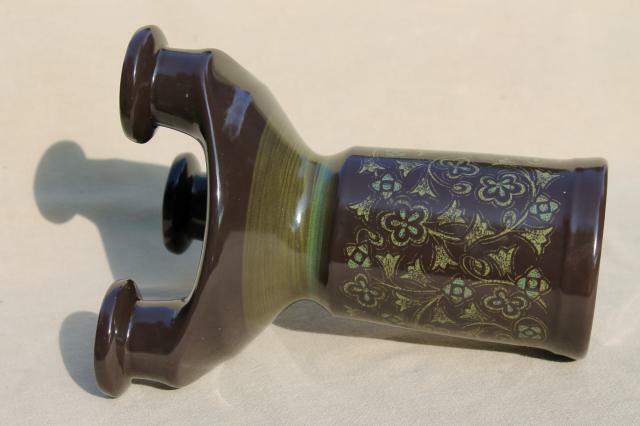 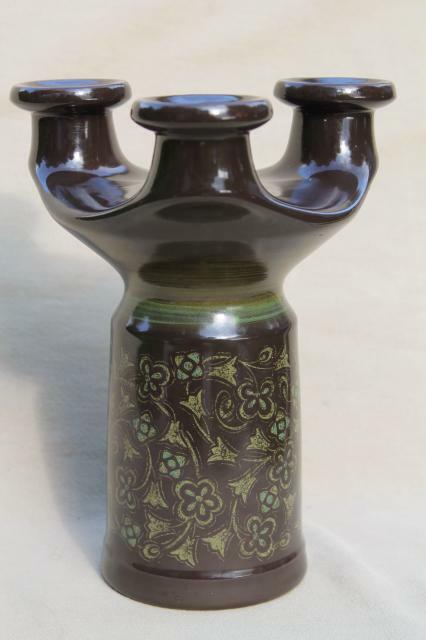 Vintage Franciscan Madeira branched three light candleholder, dark brown with pattern in green. 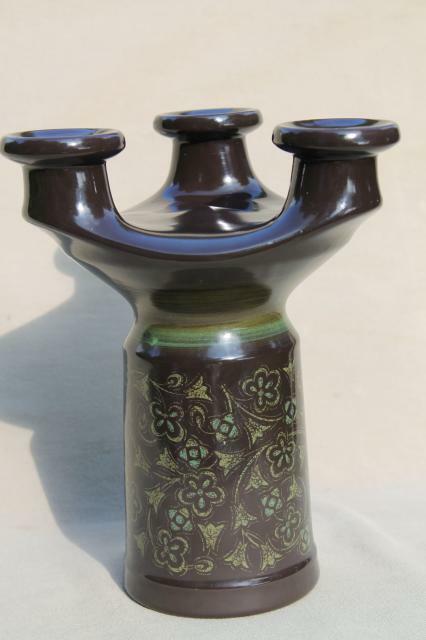 This is about 9 1/2" tall overall. 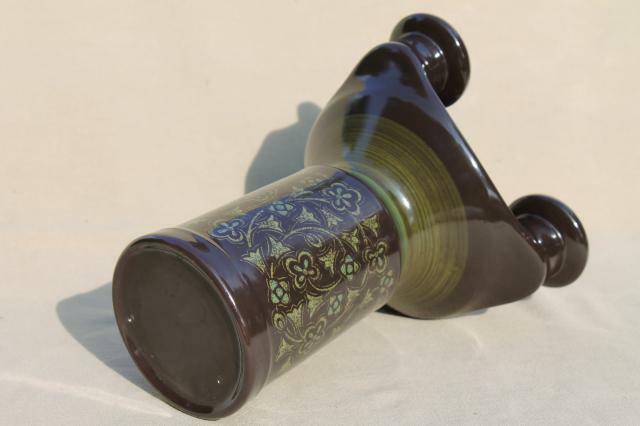 It's in very good condition, used but in nice shape without chips or cracks.